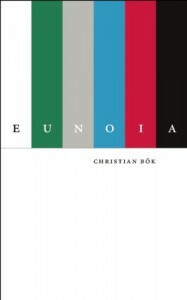 Christian Bok's Eunoia, a book of prose poems confined to the use of a single vowel per chapter, uses a density and texture of expression uncommon even among poetry. As an aspiring writer and lover of language, I could not help but swoon over the absolute brilliance and musicality of Bok's language in this collection. I got introduced to so many wonderful words! Remarkably, each chapter told a coherent and engaging story without straying from its assigned vowel. I thoroughly enjoyed seeing how the English language (though Bok does add phrases from other languages) can still deliver a narrative with great artistic merit under harsh constraints. Inspirational. I found the reading experience very engaging, and the book, being short, was easy to complete in a single sitting; however, I will definitely be rereading this in the future because so much can be gained from a second, closer reading. I would recommend this book to any poetry or language enthusiasts. There is honestly so much texture and richness to the language in this collection. I also think this could be a great introduction to poetry for readers who are interested, but don't know where to start. The foundation of narrative, and also the prose format, may make the transition into poetry more manageable for readers used to prose fiction. 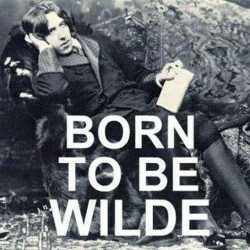 Great book, one of my favourite volumes of poetry!